Make money your first year of blogging. How I Made 40K My First Year of Blogging. 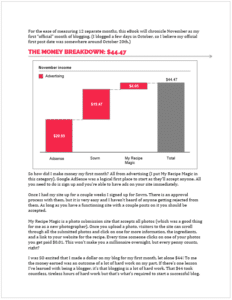 I made $40,000 my first year of blogging and I want to show you how! This book contains everything I learned in my first year of blogging. It shares my tips, tricks, secrets, and most importantly everything I wish I had known when starting my blog. 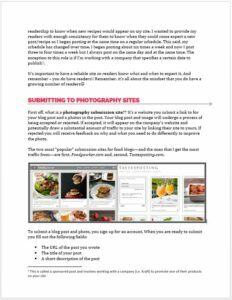 I’ve included step-by-step pictures on how to set up a blog — including picking out and registering a domain, picking out a layout and design for your site, and step by step photos on setting up your unique hosting plan. I’ve even included some simple coding techniques to customize your site. Step-by-step pictures showing you how to set up and optimize your social media sites, plus all the tips and tricks I’ve learned to gain a combined following of over 33,000 social fans in one year. Included are the ways I’ve leveraged social media to increase traffic to my site. Included in this book is a comprehensive spreadsheet that will allow to to track income and expenses as well as record when you’ve been paid. Additionally, there are resources helping you to stay as organized as possible with your blog. 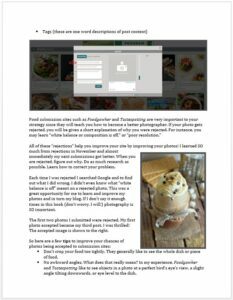 Step-by-step pictures that will make you feel confident about placing your own advertisements on your site. Plus easy to understand terms of a complex world of advertising. An included chart illustrating pros/cons of ad companies to work with. You’ll understand how to network with other companies to receive paid work and free products for yourself and your readers. Detailed instructions are also included on how to set up your own giveaway and how to make it successful. 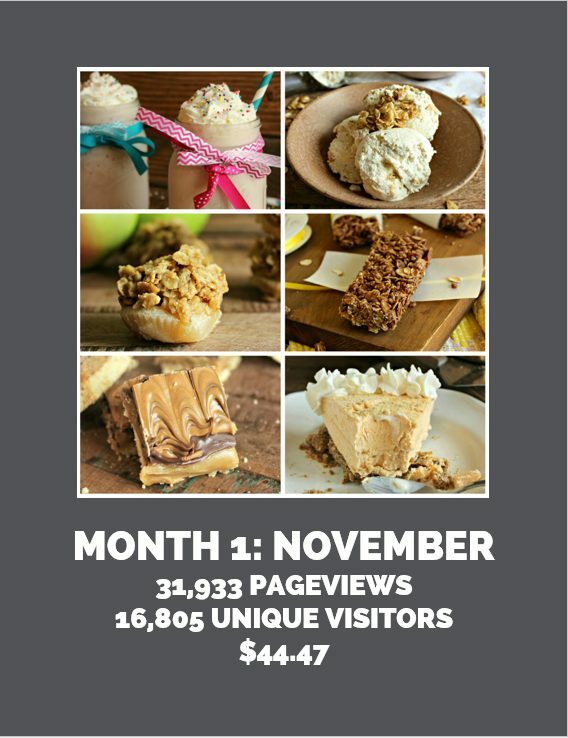 In making over $40k in one year, gaining 33k social media fans, and reaching impressive page-view statistics, I share everything I learned to get here. The things I did right, the things I could have done better, and all of my “secrets” to success. Hi! I'm Chelsea, the blogger behind Chelsea's Messy Apron. I created this blog just over a year ago and have carefully documented everything I've learned along the way. I've put it all in this eBook and have worked my hardest to make this the best possible resource available. I am crazy passionate about blogging and I believe you'll find that evident in this book. Chelsea’s book is not only well done and informative but hopeful. As a blogger myself I went into it a little depressed that I was not making nearly as much as her, and by the end I was excited, optimistic, and ready to stop my moping and go to work. Her style of writing is friendly and authoritative. Her information solid. 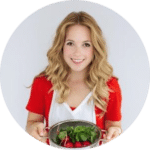 She shares practical tips and tutorials, while guiding you through her personal experience with blogging. 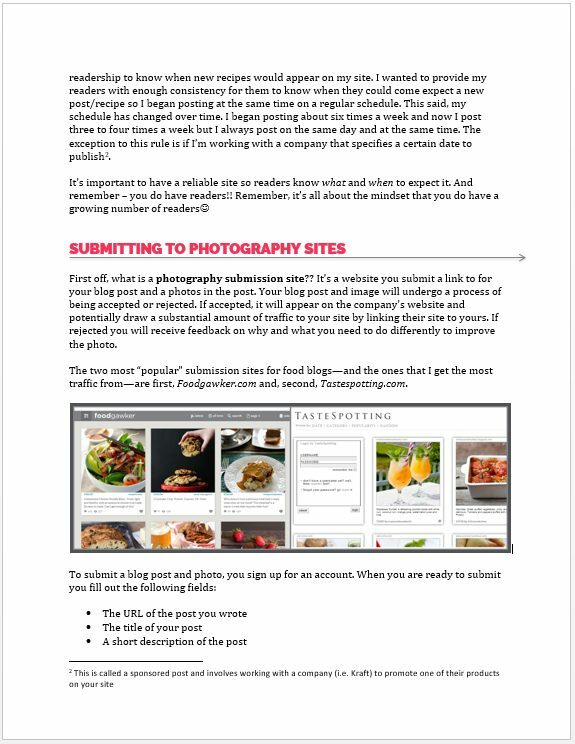 Although much of the information is relatively basic, and for the beginning blogger, there are gems to be found for even advanced bloggers. I had an index card full of notations of things I wanted to work on by the time I was done. If you are just starting out and want to do things “right”, hit a slump and need some perspective, or want to get motivated to push yourself to new blogging heights, this is a great read. I stumbled upon Chelsea's ebook through a Pinterest pin while searching for blogging advice and I am so happy I did. It was my first investment in my blog and in myself and it's been worth every penny! I took pages of notes reading through her material and it felt like I was sitting at Starbucks chatting with a dear friend who was generously revealing all her secrets to me! And so many more really personal nuggets of gold that you can't find searching the internet. 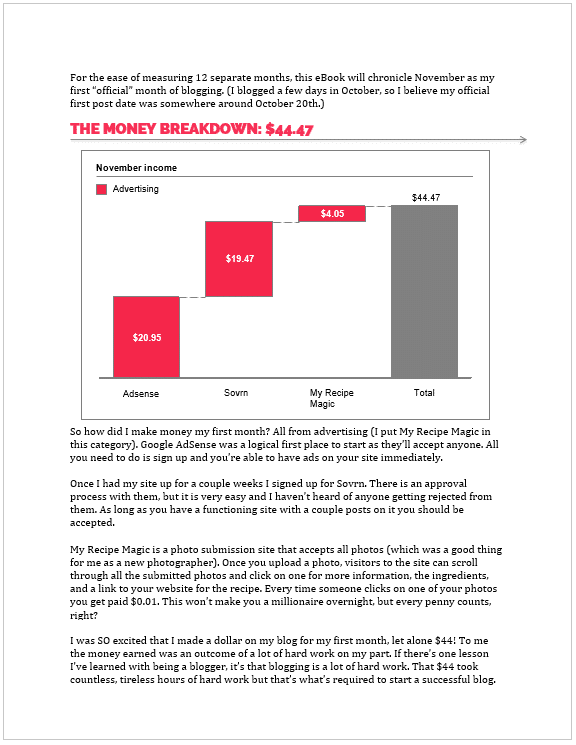 It shows her personal journey step by step from $44 a month to over $7,000 a month. I was happily surprised when I opened the ebook and saw it was almost 200 pages of pure blogging advice! 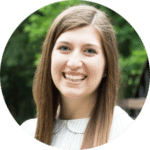 After implementing many of her strategies I've been able to make $200 my first month of blogging! And it's growing. Thank you Chelsea for taking the time to put this ebook together! 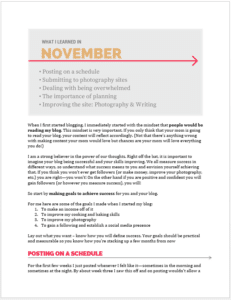 It's a valuable resource for anyone starting out a blog. As a fairly new blogger I have found this e-book invaluable! From the moment I started reading, I couldn't put it down! Each page is packed with how to develop, grow, and improve your blog. I walked away with a long list of detailed improvements for my advertising and social media strategies that I couldn't wait to implement! 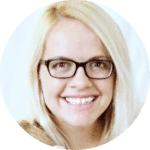 If you are a new blogger, Chelsea will help give you the tools you need to start a path to success! This is a must read! I can't say enough good things about this book! 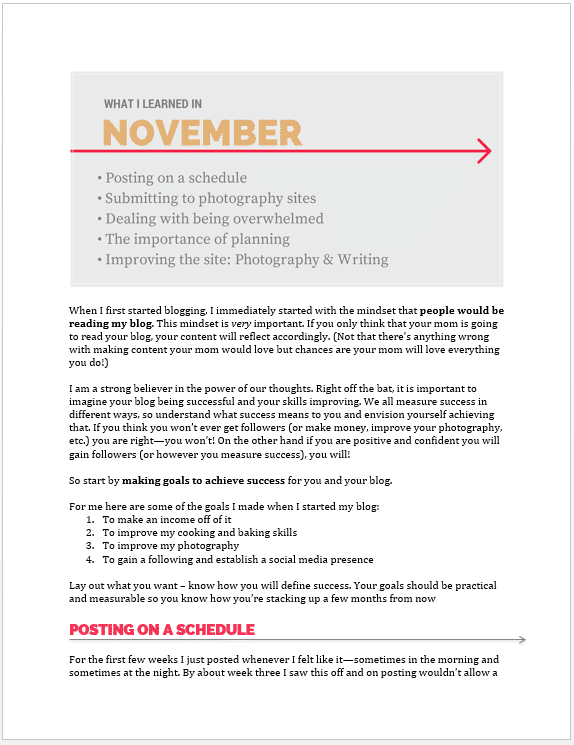 Chelsea did an outstanding job at laying out absolutely everything you need to know to start and grow a successful blog. She gives a unique behind-the-scenes look at how Chelsea's Messy Apron developed into the successful business it is today. Her writing is clear and easy to understand, and her thorough explanations bring clarity to every aspect of blogging. If you are a beginning blogger, or want to take your blog to the next level, this book is exactly what you need. The information it contains is vital for any blog that wants to earn an income!